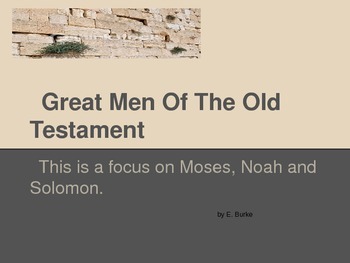 This is a thirty -six frame power point on three great Old Testament men. 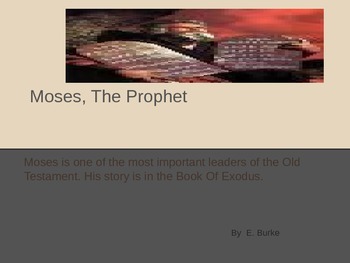 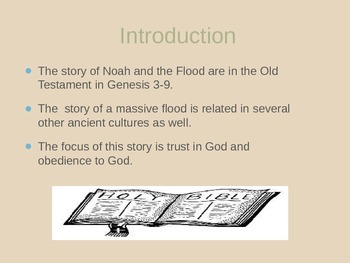 It focuses on Moses, Noah and Solomon. 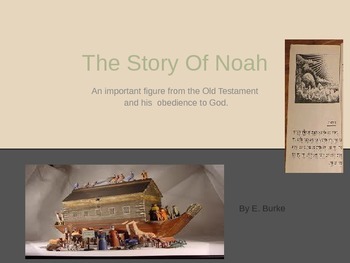 It is a bundling of three power points with assignments and pictures .